The Bais Medrash HaGadol of Williamsburg located at 46 Moor Street and prided itself as being, strictly Shomer Shabbos. Interesting that in the English it says Herzenberg, but in the Hebrew it says Hertzberg. 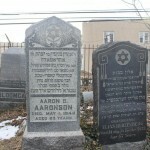 He signs “Rav of Anshei Korland in Brooklyn”, I guess he was there before Williamsburg. 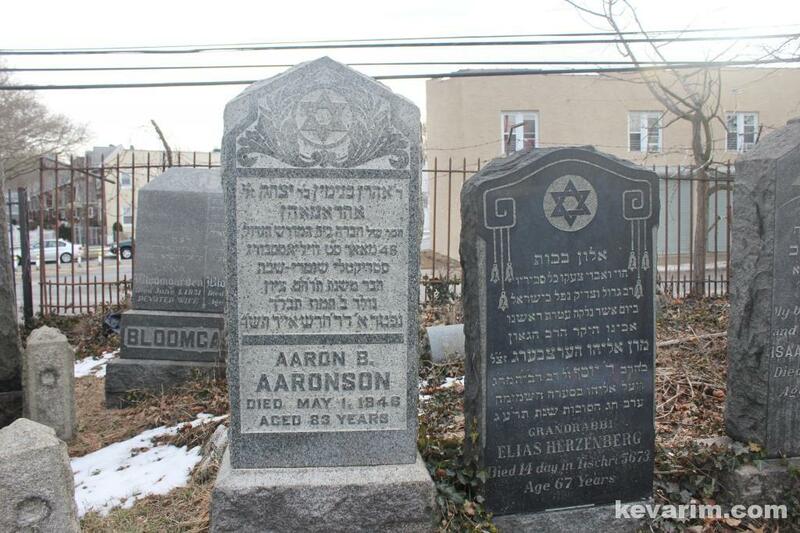 Where was Bais Hamedrash Hagodol of Williamsburg? 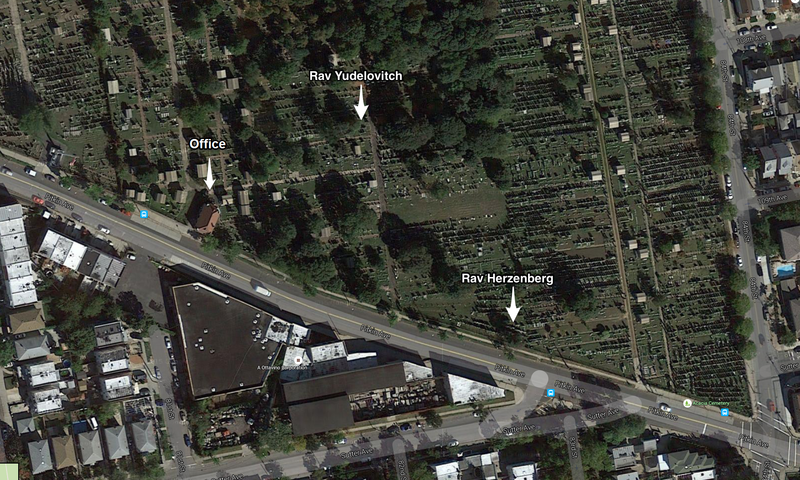 and where does it say that Rabbi Herzenberg was Rav there? 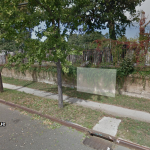 YD, on line 7 it’s engraved that he was Rav in BMH”G plus he’s buried in the Beis Bedrash Hagodol of Williamsburg section – gate 84. Poor spacing of the english words on the kever. The english is strange as well ….”14 day”, and as someone pointed out above the name in hebrew is Hertzberg. I wonder who did the english inscription. Seemingly someone who didn’t know English well (pretty common in those days…). I found an incredibly interestinf article above. It seems there was a butcher shop at 46 Moore st. and there was rioting and burning of meat there by women one evening (maybe it was tarfus?). 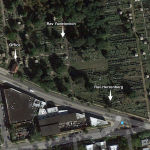 Maybe there was a shul built later, but that would not give R’ Herzberg many years as Rav of the Shul. A.R. The riots against the butchers was all over the city and was due the butchers and wholesalers raising prices. People in that part of the world with the name Herzenberg were also Herzberg, Hercenberg, Hertzenberg, Hertzberg, Gerzenberg, etc, due to the many languages/alphabets used in the area (Hebrew, Latvian, German, Russian, Polish, Yiddish…). 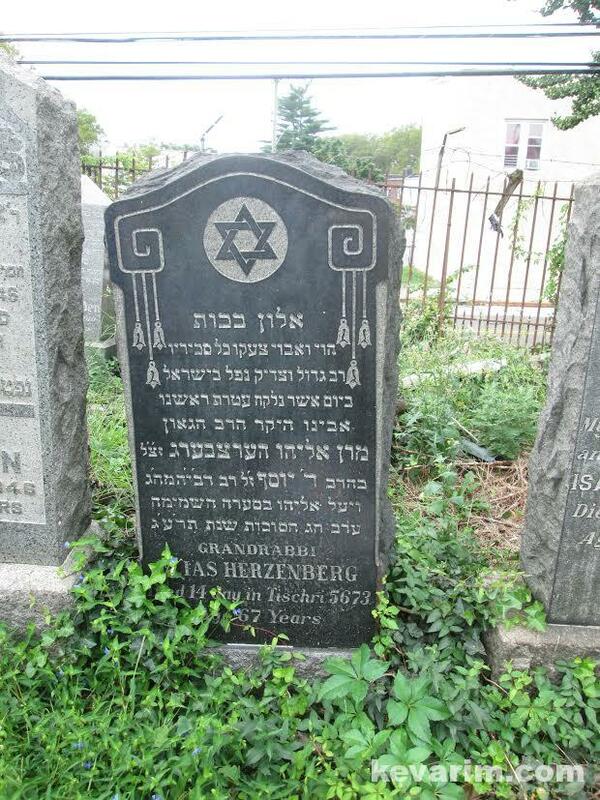 My ancestor Joseph or Jossel Herzenberg was a rabbi in Pilten, Kurland, Latvia. He had four sons Elias, Lemchen (my line), Chone and Osher. Elias and his son Josip were also Rabbis. Osher had a son Eliahu born abt 1812 of whom I know nothing else. Obviously not the same Eliahu, but perhaps there’s a connection there. I don’t read Hebrew, so I’m not able to read the texts mentioned. I know that some of my distant relatives left Kurland for the US in the mid 1800’s but I don’t know much about them. 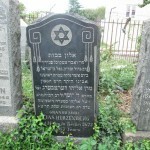 Snapshot of society gate with Rav Hertzenberg’s name spelled with the letter “N”, in difference to to his marker.